Home » Coaching » What came around went around. And so that was summer. It felt like one of those summers we had when we were kids – it went on for ages. Glorious golden days, with long hazy evenings, stretching out into seeming eternity. Due to the weather pattern of recent summers I expected it to finish at any moment, so spent lots of time out on the bike squeezing in what I presumed would the last ride of the summer. I think it finally happened yesterday; the sun was still shining but there was a definite chill in the air, and it was noticeable that the environment is beginning its seasonal fade from green. Whilst the sun shone the bike shop was busier than ever. This was thanks in part to the Minotaur trail and the new skills area – Y Ffowndri, but mostly I suspect, thanks to the clement weather. The whole of Coed y Brenin was packed almost every day, except for those really hot, sunny days where it seemed that everyone went to the beach. I had quite a few coaching sessions with groups, families, and individuals – taking in everything from learning to ride a bike for the first time through to preparing to race across South Africa. 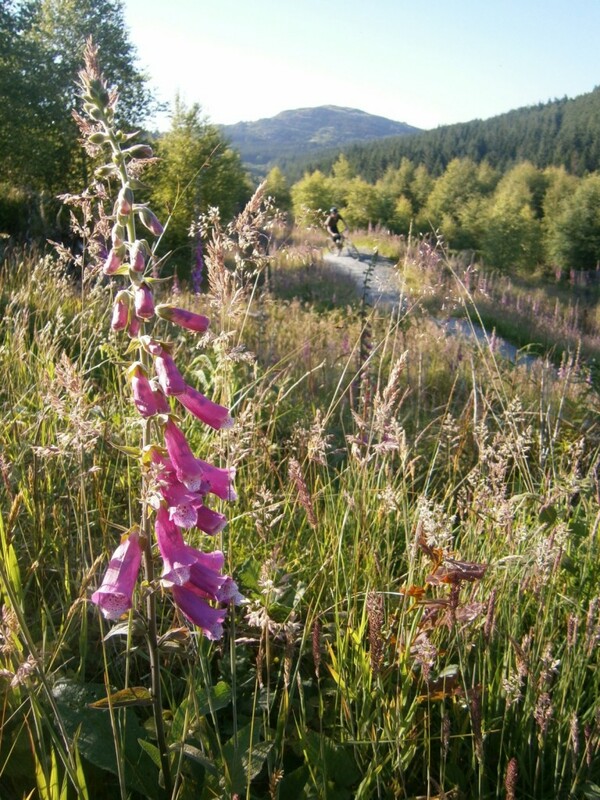 Summer at Coed y Brenin – like South Africa with foxgloves. I only coached a single session in the rain. It feels like summer is over now though, and so I’m forced to ask myself what did the holiday season teach me? Well, I’m not exactly sure. It was a little bit too hectic to spend much time contemplating the meaning of it all. 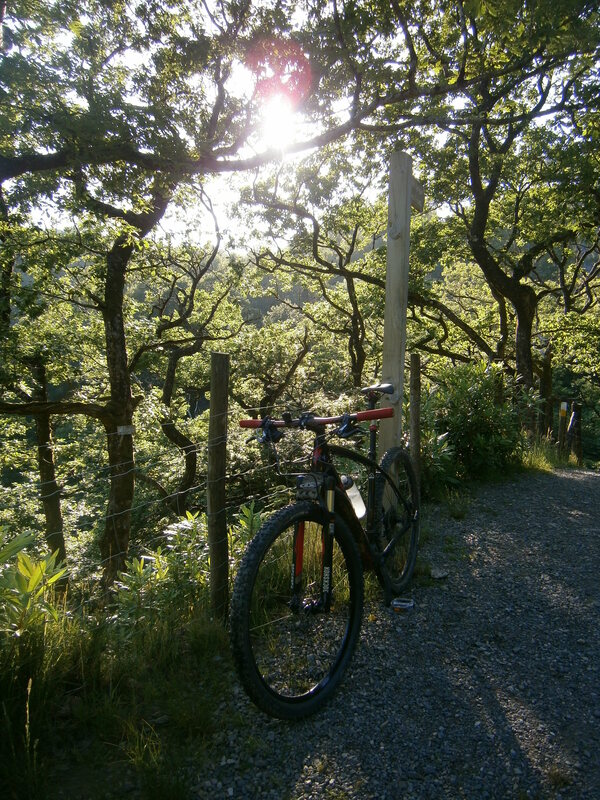 What I remembered though is that there’s always time for another ‘last ride of the summer’. Maybe I’ll get another one tomorrow then?